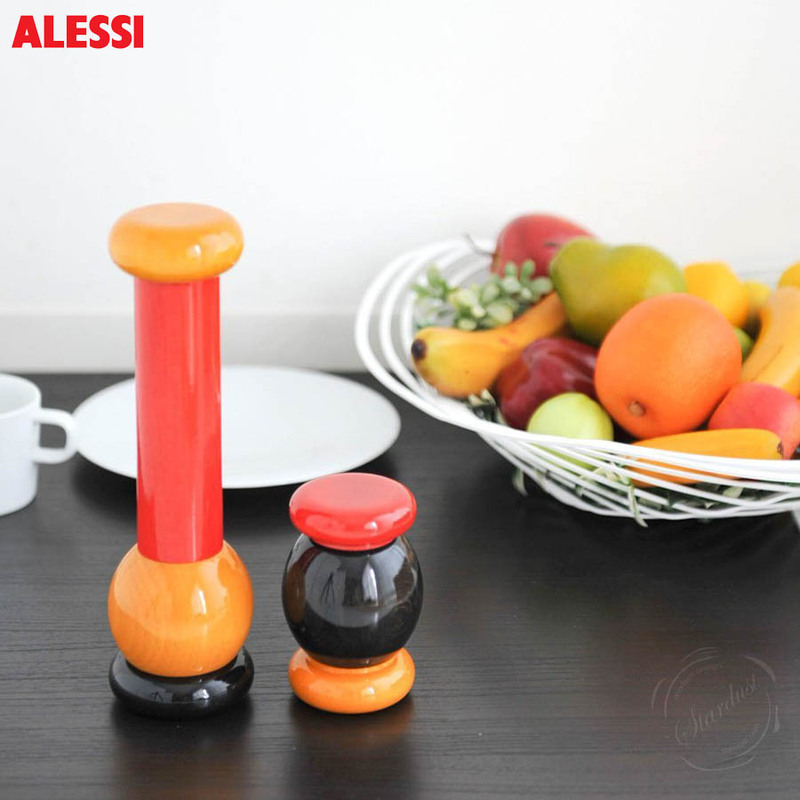 Ettore sottsass mp0210 pepper mill by Memphis for Alessi from Stardust. Part of the NEW Alessi collection - designed by Ettore Sottsass; MP0210 is a pepper mill that is designed to be fully functional but highly decorative on the table top. 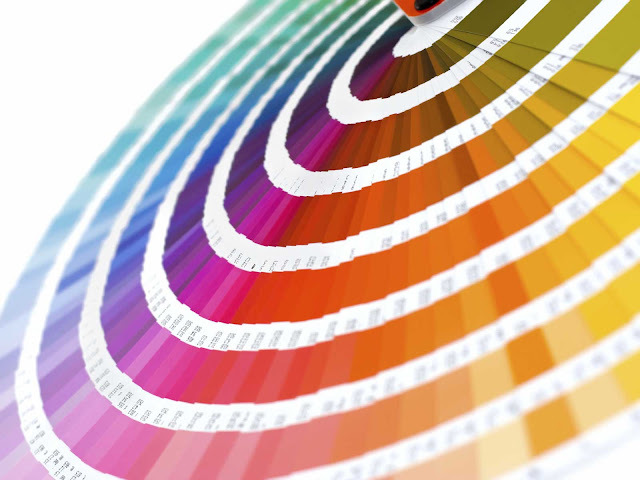 Guaranteed to be loved by anyone who loves cooking and design. 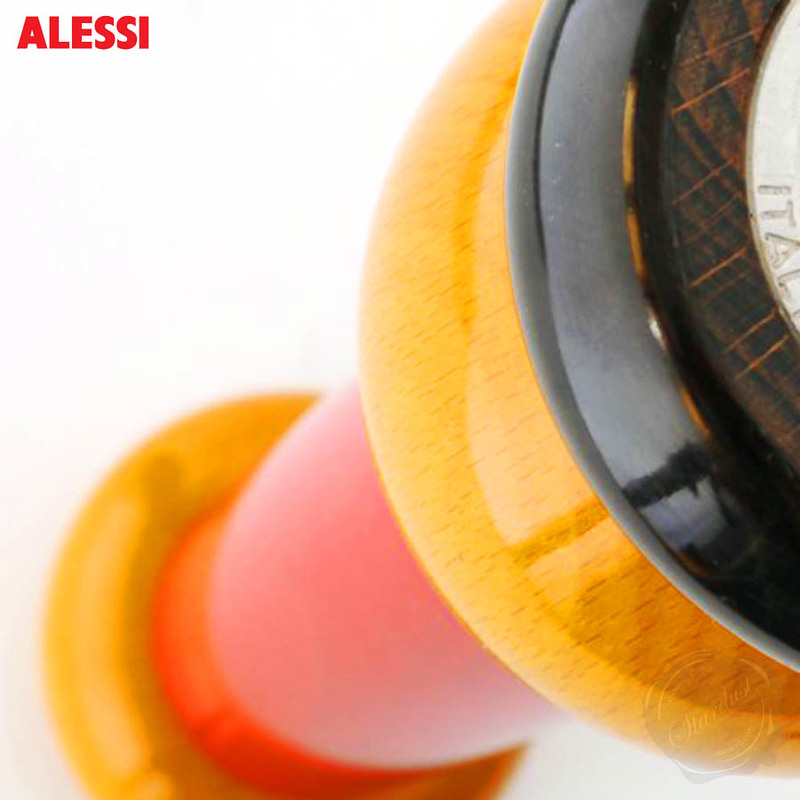 A must have grinder for any Alessi collector, MP0210 comes boxed in a Alessi cardboard box suitable for gift giving. The stylish Memphis style Pepper Mill MP0210 with a classic wooden rotatable technique and organic shapes by Ettore Sottsass's Totem Sculptures for Alessi. 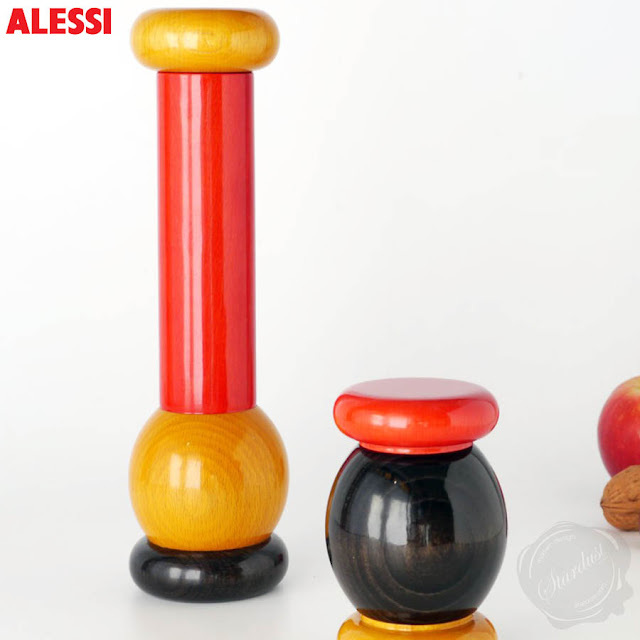 Apart from metalworking, woodworking is the other ancient and traditional production method in the area where Alessi has its roots: the Strona valley in northern Piedmont, Italy. 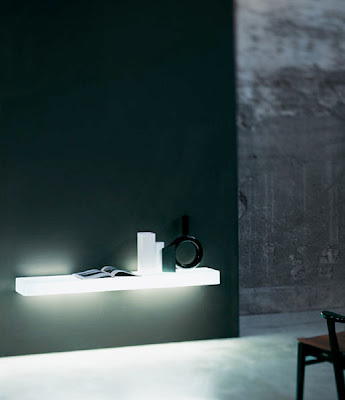 So as not to lose this precious link with tradition, in 1988 Alessi acquired the oldest original company in the valley, Battista Piazza 1865. 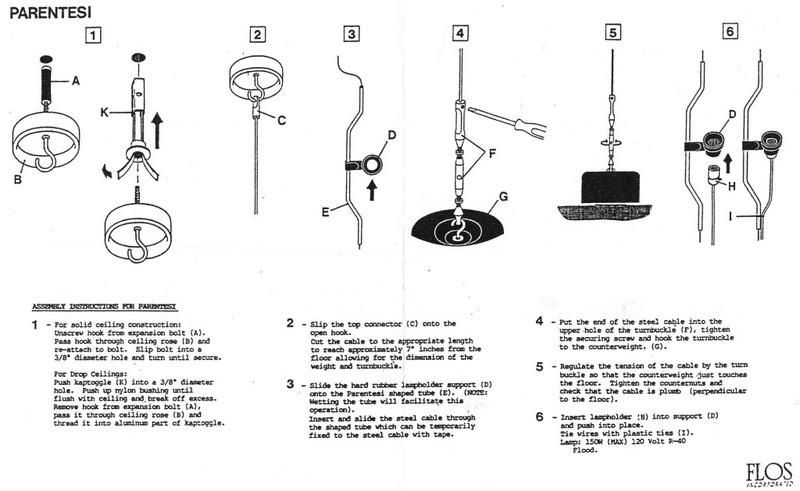 A number of historic objects from the early 20th century have been reissued. Between the 1980s and 1990s, Ettore Sottsass, together with the young designers in his studio, was the main designer of the Twergi line in wood. 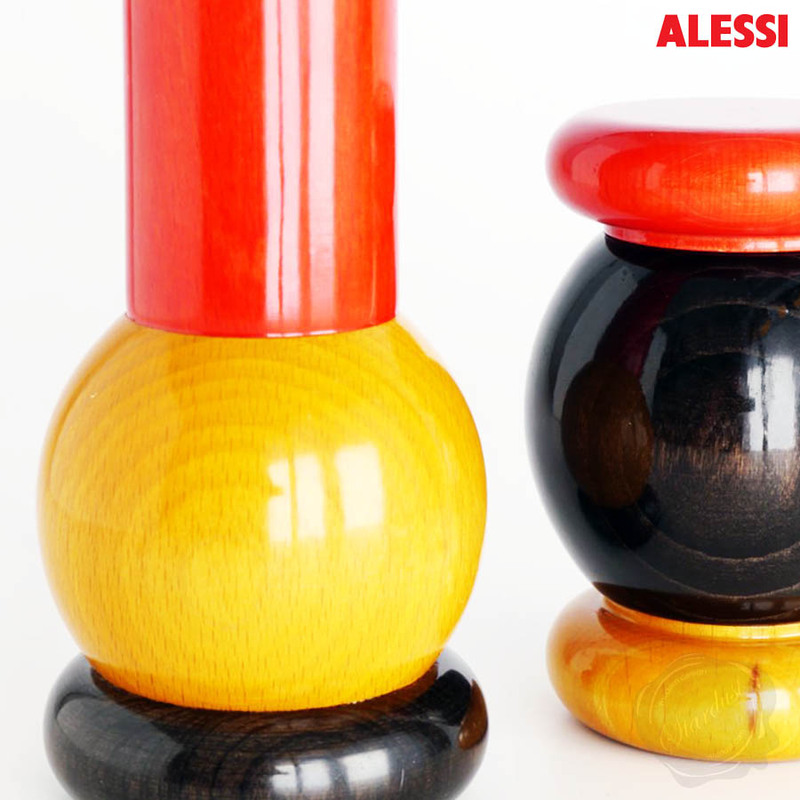 This pepper mill is a classical form in turned wood, and it's perhaps the best Alessi design to use this material.